As developers of high quality yet affordable houses in the country, Camella is committed to delivering customer satisfaction to all its home owners. With over 40 years of building residential communities, Camella has already constructed more than 400,000 quality homes in 39 provinces and 104 cities and municipalities across the Philippines. Aside from Camella Butuan, we also have other subdivisions that you can consider when looking for a house and lot for sale that's ideal for your budget. Please visit our websites and get to know some of our beautiful projects in your favorite cities! We'd like to meet up with you and take you to Camella Butuan! We'll make sure that you avail of our latest promos so you can buy your home in Camella Butuan with money to spare! Email us at inquiry@camella-butuan.com now! Buying your dream home is easy even when you are working abroad. At Camella Butuan, we make it easy for OFW's and overseas residents to avail of their dream house and lot through Viber, Facebook, WeChat, WhatsApp, e-mail or telephone. Our online consultants will assist you in selecting your preferred house and lot and more importantly discuss with you the financing scheme that works best for you. We will take care of your bank application and see to it that your house is delivered on time according to high quality standards. Buying a house has never been made so convenient... and worry-free! Village Address: Camella Butuan is located in Zamora St. Villa Kananga, Butuan City 8600, Philippines. 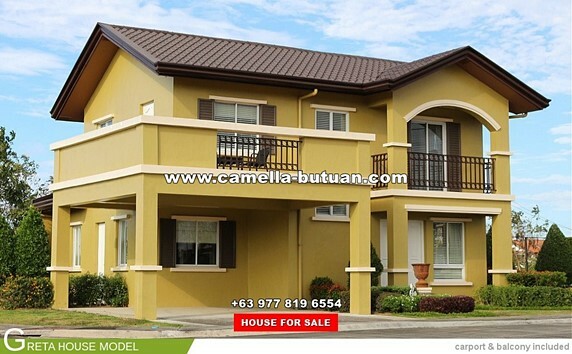 For inquiries, e-mail us at inquiry@camella-butuan.com. Camella Butuan is a trademark of Vista Land, Inc. Copyright © 2019 Indigold Realty Corporation. The developer shall exert all efforts to conform to the specifications cited herein.